The autumn of 2016 has seen many plans to boost investment in Belarus. On 17 September Minsk hosted the first Belarus-Oman business forum, while on 29-30 September the Belarusian capital hosted the Belarusian Forum: "Broadening Horizons. Investment. Finance. Development". Moreover, autumn has become a traditional season for hosting the German-Belarusian "Minsk Forum." Such an increase in pro-investment activities gives the impression that the government is considering possible shifts in policy in this sphere. However, the statistical data, as well as the views and opinions of numerous businessmen, make the real picture seem much more complicated. In spite of Belarus's generally negative image, the country boasts distinct advantages for potential investors. Moreover, according to the UN Conference on Trade and Development, Belarus has managed to raise much more foreign direct investment than fellow CIS countries such as Armenia, Kyrgyzstan, Moldova, Tajikistan and Uzbekistan. Both potential investors and Belarusian officials ascribe Belarus's success in raising FDI to the country’s strategic location (between the EU and Russia), and its participation in Eurasian integration, which affords it direct access to the market of the five Eurasian Economic Union (EAEU) countries. The Belarusian authorities also emphasise the competitive taxation conditions in six free economic areas (0-10 per cent), the Belarus High Technology Park (0 per cent) and the Great Stone Industrial Park (0 per cent), as well as other advantages. However, these concern only separate areas of activity and have not become a real impetus for large-scale investment. Belarus also possesses developed transportation and logistics infrastructure: a large share of cargo flows between Russia and the EU transit through Belarus. Since 2011, ​the number of transit trips of trucks belonging to foreign carriers has increased by more than 21 per cent​. Belarusian authorities consider the national labour force to be highly qualified, while most investors (excluding the IT sector) disagree. Differing views on taxation and labour force qualification between officials and businesspeople represent only a fraction of the authorities' misunderstanding of the needs and demands of potential investors. 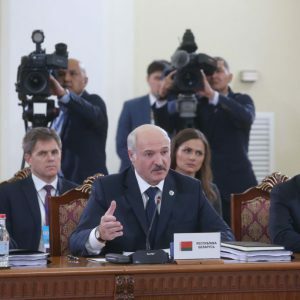 Both of the Belarusian government's most recent five-year development programmes (for 2011-2015 and 2016-2020) admit that Belarus has failed to raise enough foreign direct investment, although it recognises their vital importance for the country’s further development. The first programme stipulated a $7,000-7,500m raise in FDI by 2015, while the latter avoided concrete figures. Unfortunately, the official statistics, as is often the case in Belarus when it comes to sensitive issues, remain rather tricky for a researcher. Thus, according to the Ministry of Economy and the National Statistical Committee, in 2011-2015 Belarus raised between $10,909.8m to $52,100.1m in FDI. However, because the sources of said FDI, as well as how it entered the economy, remains unclear, these figures should be taken with a grain of salt. The National Bank, which is obliged to utilise internationally recognised methodology, claims another figure: $3,080.6m in 2011-2015. This figure seems to be more relevant and indicative of the dramatic situation of FDI in Belarus. 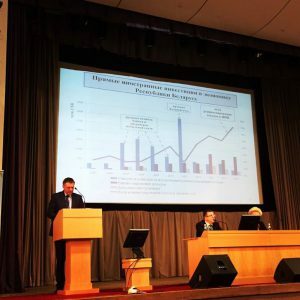 Remarkably, during a conference held by the Research Institute of the Ministry of Economy on 21 October 2016, a representative of the Ministry also tried to avoid any actual figures. According to official statistics, the major part of FDI in Belarus comes from Russia (46.4 per cent) and Cyprus (16.1 per cent). However, many suggest that this money originally comes from Russia and Belarus, given Cyprus's well-known role in reinvestment. One of the main obstacles mentioned by all participants was lack of property protection. Potential investors are wary of administrative pressure on owners, as well as possible nationalisation. The cases of the confectionery factories ‘Spartak’ and ‘Kamunarka’, which were nationalised in October 2012, provided justification for these fears. The absence of a stock market represents a second important hurdle for foreign investors. It is very difficult to ‘come in’ to a company or evaluate its assets. Belarusian authorities tried to launch the IPO "Minsk Sparkling Wines Factory" in 2013, but this attempt enjoyed little success. Almost all experts claim that the full-fledged IPO will reveal a significant overestimation of Belarusian enterprises, as well as limited attractiveness to serious investors. Unstable legislature and the general absence of rule of law feeds investors’ fear both for the security of their investments and the predictability of possible incomes. The generally unstable situation in the region only aggravates these anxieties. The large share of property in the economy owned by the state (70-75 per cent) results in uncertain divisions between the government’s role as an owner and as a regulator. For example, the Ministry of Industry administrates many plants as a (co-)owner while simultaneously regulating legislature in this sphere. While nobody in Belarus supports complete privatisation, such conflicts of interest will result in privileged terms for state enterprises and unfair competition between the private and public sectors. Foreign investors who already work in Belarus complain about the low qualification of Belarusian officials and the labour force in general. For example, in 2010-2012 Omani businessmen tried to buy a lot of land in the city of Minsk. According to them, even though they paid $3m in advance, they ended up receiving nothing, despite their previous agreement. Meanwhile, the Belarusian side claims that a manager simply absconded with the money. Such cases only confirm investors’ discontent with local personnel and with how the public administration system functions. Despite numerous advantages, serious obstacles continue to prevent Belarus from attracting serious foreign investors. Cases with Arab countries, as well as with China, prove that patronage networks and contacts between the leaders of authoritarian regimes are not much of a guarantee for raising FDI. Personal negotiations do not always result in significant investments. The authorities should therefore also work to improve their understanding of the needs and claims of potential investors. Unfortunately, most obstacles are of a clearly political nature, as they help preserve the government’s control over society and the economy. In the face of a serious economic crisis, the Belarusian authorities should make a choice between different alternatives: either to preserve the political status-quo or to start reforms which would make the country more attractive for serious investors. Belarus establishes closer political and economic links with Asian countries hoping to boost exports. Lukashenka urges CSTO members to elaborate a new development strategy and attain recognition from global players. The Belarusian Parliament ratifies the Convention on the Rights of Persons with Disabilities. Belarus emerges successful in the long-standing oil and gas dispute with Russia. The number of Chechen refugees trying to reach the EU via Brest is increasing. This and more in the new edition of State Press Digest. Belarus sees Asian countries as important partners. Viačaslaŭ Jaraševič, head of the Finance Department at Minsk International University MITSO, wrote about the recent rapprochement between Belarus and Asian Countries in Narodnaja Hazieta. Over the last year, the Belarusian president visited many Asian countries including Pakistan, Uzbekistan, China, Turkey, Vietnam and others. Viačaslaŭ Jaraševič argues that Lukashenka is establishing new links that will prove useful for the Belarusian trade sector in the future. He notes that many countries in Asia are beneficial partners for Belarus. The distance between Belarus and Asia does not create obstacles in trade relations as maritime transportation prices have been decreasing every year. Lukashenka urges CSTO to work on further progress. On 14 October the President of Belarus delivered a speech at a session of the Collective Security Council in Yerevan. He raised the issue of the CSTO’s image. Lukashenka asserted that NATO does not consider CSTO a full-fledged organisation, reports Belarus Segodnya. Lukashenka also urged the CSTO to work towards achieving the status of a recognised organisation. He encouraged representatives of CSTO member states to develop organisation at a higher level. He underlined the necessity of attracting experienced and qualified experts from different countries, including Russia, in order to improve and optimise the functioning of the CSTO. The Belarusian Parliament ratifies the Convention on the Rights of People with Disabilities. In October 2015 Belarus became a signatory member of the International Convention on the Rights of Persons with Disabilities. A year later, on 3 October, the Parliament ratified the Convention. In recent years, the Belarusian government has been adjusting its laws in accordance with the Convention, writes Belarus Segodnya. The document entering into force means that Belarus is ready to make a commitment to comply with all terms of the Convention. However, non-governmental organisations point to the failure of Belarus to comply with one of the most important terms of the Convention – unmediated participation of people with disabilities in the development of policies that concern them. This fact hampers the progress of Belarus in the framework of the convention. Russia and Belarus resolve the issue of oil and gas supplies. An agreement on supplies of Russian oil and gas products through the territory of Belarus came into force on 12 October. The Belarusian and Russian Prime ministers, Andrej Kabiakoŭ and Dmitry Medvedev, have recently confirmed new terms of the agreement. According to the document, Belarus will pay the same price for Russian gas as last year. However, due to the policy of inter-budgetary compensation, the final price for Belarus will decrease. In 2017 the price of Russian gas for Belarus will be about $100 per thousand cubic metres, writes Zviazda. The oil and gas debate started in the middle of 2016 when Russia announced a double increase of tariffs for gas for Belarus. Hrodna region strengthens partnership with the border regions of Poland. Belarus and Poland are planning to establish a regular boat route on the Augustow Canal. In addition, Hrodna region and Poland have discussed implementing around 20 projects in the field of tourism and sports, writes Hrodzienskaja Praŭda. The parties plan to realise these projects in the framework of the "Poland-Belarus-Ukraine 2014-2020" programme. One of these projects involves the purchase of a vessel which will purify and deepen the Augustow Canal. Representatives from the Belarusian side propose restoring two historic castles in Hrodna region. It is not clear yet which of these projects will be implemented, but the parties are now actively hammering out the details. 17-year-old attempts a massacre in one a Minsk shopping mall. A teenager began a chain saw massacre at the Europe Mall. He killed one woman and wounded several people. The suspect, according to Belarus Segodnya, suffered from a mental disorder. During interrogation, the teenager admitted that he had been planning the massacre for a long time. He initially intended to commit the crime at the university where he studied. The suspect explained that he felt hatred towards all mankind, struggled with depression, and wanted to be killed during the arrest. It is also known that the suspect lived alone and was antisocial. Students and teachers of the university characterised him as distant. More refugees from Chechnya arrive in Belarus. Refugees from Chechnya are attempting to reach Poland via Belarus, claiming that they want to escape the Putin and Kadyrov regime. From 2000 to 2016 the number of Chechen refugees hosted by Poland increased to almost 80,000. Poland received the largest number of asylum applications from residents of Chechnya in 2013. A correspondent at the newspaper Zarya connects this fact to the adoption of a German law equating refugees’ benefits with unemployment benefits. According to the law, the benefits amount to 2000 euros and are paid over the course of one and half years. In Poland, benefits come to only 1,000 zloty (€230) during the first year. For this reason, most refugees from Chechnya are trying to get to countries such as Germany, Austria, Denmark, and others.